Nicole Muscente graduated from State University of New York at New Paltz with a Bachelor of Science degree in 2010. She continued her education at New Paltz, obtaining her Masters of Business Administration in 2012. 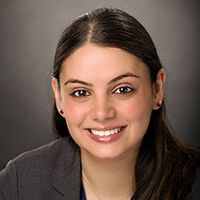 Nicole attended Pace University School of Law, graduated with her Juris Doctor in 2015. She was admitted to practice law in New York State in 2016 and in Connecticut in 2017. Nicole brings a wealth of legal knowledge in multiple areas of law, including matrimonial and family law, real estate law, and immigration law. With a commitment to patience, understanding and attention to detail, Nicole consistently exceeds the expectations of her clients.